This scholarship was created in loving memory of our dear aunt, born Josie Dugue’, April 8, 1964 in New Orleans, LA. Daughter of the late Albert Milton Dugue’ Sr and Josephine Clark-Dugue’, Josie grew up as number 10 of 11 children. Educated in New Orleans Public School system, Josie received a Bachelor of Science in Business Administration and a Master of Arts in Teaching in Computer Science from Xavier University of Louisiana. This was a significant accomplishment to the future generations of our family because she was one of the few of eleven siblings to graduate from college. Josie was a dedicated educator and community advocate. She spent nearly 15 years teaching in numerous parishes throughout northeast and southern Louisiana in both the public and private sectors. Shortly after moving from New Orleans with her devoted husband C. Arnold Lain, of over 9 years, Josie eventually transitioned from educating students to educating teachers. She was appointed to the position of technology facilitator at Winnsboro Junior High School and Gilbert Junior High. Her community services included participating in the child advocacy program, Each One Save One and D.A.R.E. (Drug Abuse Resistance Education). She was a devoted servant of God and was committed to her faith and family, as well as being a very active member of her church. Josie was truly an advocate for the greater welfare of every child. She often provided her students with necessities they likely weren’t able to acquire at home. Josie would never hesitate to go that extra mile contributing to the sound mind she so desired for students to possess. 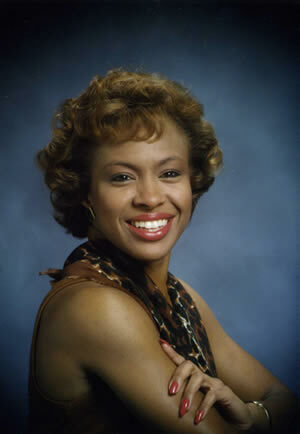 On December 17, 2006, tragedy struck and Josie died in an auto accident at the age of 42. The Josie Dugue’ Lain Endowment was created to perpetuate the memory of Josie through the advancement of higher education among underserved populations. Josie’s tireless sacrifice of her time along with being a community example demonstrated her desire to narrow the achievement gap of young students pursuing a college education. We chose to partner with Southern University as we are both alumni of this prestigious institution, in which we obtained degrees in Engineering. Recipients of the Josie Dugue’ Lain scholarships are students whose records reveal leadership. Equally important, their backgrounds indicate strong social concern for their immediate or larger communities. They are young people whom we anticipate will use their success to help in meaningful ways both as members of their own communities and society as a whole similar to Josie.